First off we want to say that if the spouse is making any serious effort at changing drinking--whether the spouse's goal is safer drinking, reduced drinking, or quitting, then we urge you to try and be supportive even if your spouse F%$#s up sometimes. If your spouse is making a serious effort at a harm reduction goal then it is unreasonable and unrealistic of you to try and set a goal of total abstinence for your spouse. This approach often backfires and winds up making your spouse's drinking worse. Likewise, it is unreasonable to demand that your spouse drink in moderation if your spouse has chosen abstinence as a more achievable goal. However, it is also unreasonable to stay with a spouse who endangers yourself or your children--if this is the case then leaving your spouse may be the only viable option. Remember, scientific research shows that alcohol does not turn essentially peaceable people to violence--alcohol only brings out violence in people who are inherently violent to begin with. Research shows us that many people who use a lot of drugs or alcohol have co-occurring Antisocial Personality Disorder. 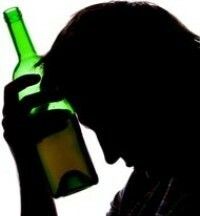 Antisocial Personality Disorder makes people violent whether they drink alcohol or not. Drinking alcohol just makes them more violent. Antisocial Personality Disorder is very resistant to change--so beware. If your spouse is not underlyingly violent you must still make choices and take steps to reduce potential harms to yourself and your family if your spouse refuses to change his drinking. Alanon may tell you that you need to let your spouse suffer the consequences of his drinking--that you should let your spouse get fired rather than call in sick for him if he is too drunk to go to work. We could not disagree more. It is important for you to protect yourself and your family on all levels--physically, emotionally, psychologically, and financially. Getting yourself and your spouse and your family put out on the street because you can't pay your rent is not going to help anyone--and it will likely do nothing to change your spouse's drinking either. Planning for your own safety and planning to reduce all harms--including financial harms--to yourself and your family is what you must do. Don't ever ride in an automobile with someone who has been drinking. If your spouse can't stop himself from drinking and driving then always make sure that you have transportation for yourself and your family arranged--don't let him pick up the kids if you don't know if he will be driving sober or not. If your spouse has the good sense to give you his car keys before he starts drinking then don't give them back after he is drunk. Alanon might tell you to let him suffer the consequences of his own actions--but do you really want a dead spouse on your conscience? If it looks like your spouse is financially imperiling you and your family then it may be incumbent upon you to get a job and take care of the family in his stead. Just make sure that your spouse keeps his job and keeps supporting you until you are safe and secure with an income of your own. Once you can pay the bills yourself you can choose to cut him loose if need be or to stay if you wish. With financial freedom you can be your own master. You may indeed choose to stay with a person whom you live in spite of that person's over-drinking so long as that person is not violent. As long as you choose to continue to live with the spouse then you must protect yourself emotionally and psychologically as much as possible. Here is where practicing Cognitive Behavioral Therapy (CBT) comes in. Learning how to practice CBT will help you to survive difficult emotional times. In conclusion, if you choose to stay with someone who insists on continuing to engage in destructive drinking them protect yourself, financially, emotionally, and psychologically. But if this person abuses you physically or mentally then it is time to leave. If you need help to leave then get it.